It's opening day at Wrigley Field, a day when hopes are still fair to very fair and drinking commences at 7 AM—though some bars will likely open before then. 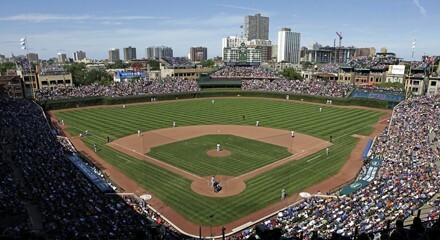 It might also be a day to steer clear of the 100-year-old Wrigley and the Ricketts circus and watch your 2014 Chicago Cubs from the cozy confines of anywhere else. Your call. Comedian Hari Kondabolu returns to Lincoln Hall. When he performed there last year, Molly Adams wrote, "Kondabolu's humor isn't always funny: it's indicting and incendiary, politically charged but without the corrosive misogyny and white-guy indignation you usually get with this comic genre." "New York saxophonist Tony Malaby is one of the most versatile horn men in jazz these days, able to adapt his keening, rough-hewn sound to all sorts of contexts and lineups," writes Peter Margasak in Soundboard. See Malaby's set tonight at Constellation.